Backed by our infrastructural facility, we are engaged in offering a broad assembly of Acrylic Body Rota Meter. 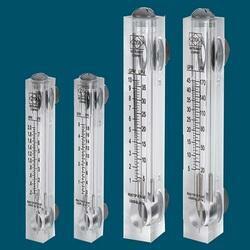 Being a patron focused organization, we are engaged in manufacturing and supplying best grade Acrylic Manometer. we manufacture these Acrylic Manometer under the supervision of professionals by making use of the superior quality raw material. These meters with all plastic fittings to eliminate corrosion completely. 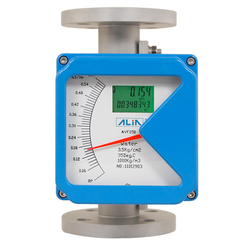 The meters are useful for measuring flow of air, common gases, water and many organic chemicals, excluding petroleum products. Applications include purging of gas lines, anesthesia, laboratory instruments, leak detection, cable pressurization, industrial furnaces and chromatography etc. The essential working part is a tapered flow tube precision machined inside the acrylic body. When flow occurs, the position of a float within the tube indicates flow rate on a calibrated scale engraved on the acrylic body. With integral construction, a needle valve and flow parts (Model FSA FSB) are built into the acrylic body, resulting in a very compact and economical design. The unique "front plate" design (Model FSB) the beauty of any panel where the meter is installed. wea are manufacturing supplying installing of Water flow meter known as rota meter in a best quality, 99.99% acuracy. We Offer Acrylic Flow Rota Meter for water & air flow measuring to our client. 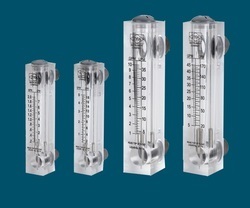 We are a manufacturer, supplier and exporter of Metal Tube Rotameter in wide range. 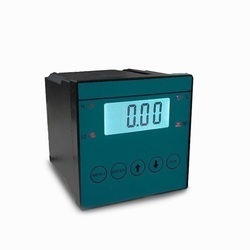 We are one of the leading manufacturer and supplier of DO METER. We obligated to meet the quality standards as per the customer demands.